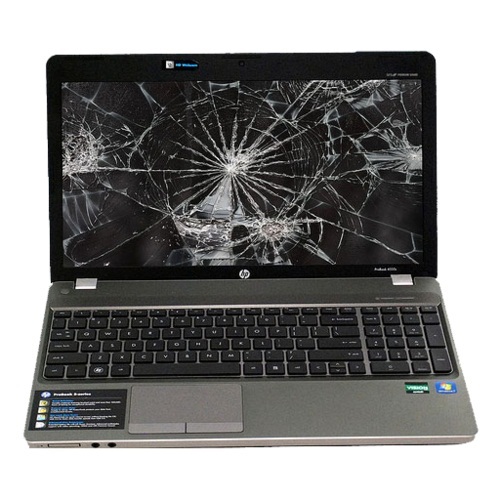 A cracked laptop screen is a common occurrence among the users especially with those who have the kids around. The laptop display screens being fragile are prone to crack easily even when coming into the slightest contact of a spiky object against the screen. While the laptop repair centers charge a substantial amount for the screen replacement, we have listed below the steps which can help you replace the screen all by yourself. For all major laptop repairs, approach VRS Technologies for high-quality repair services at affordable rates. How to fix a cracked laptop screen by yourself? In case, your laptop has taken a large fall, it’s more likely that there is more damage to it than just a cracked screen. You might want to check if the graphics card and the motherboard of the laptop are still intact. Else, you will be merely wasting time on changing the screen only to find that the actual issue lies elsewhere. To check if the laptop doesn’t have any other issue except for the cracked laptop screen, connect the laptop to an external monitor or a TV screen through the HDMI cable. If the display of the TV or the monitor is fine, then the issue lies with the display screen alone. On the contrary, if you fail to see the display on the external monitor as well, you will have to take up the issue with the trusted laptop repair center nearby. Before you attempt to search for the right replacement of the laptop’s LCD screen, the most ideal thing to do is trying to remove the broken screen by yourself. In case, you find any difficulty, then we suggest you stall the process and approach a reliable laptop repair center. The next step in the process is to search the right replacement. You can visit the sites like eBay, Amazon or just Google it with the brand, model number of your laptop in combination with the ‘LCD screen’ phrase to identify the right replacement. If you fail to come up with any products, alternatively you can try any other identification number from the laptop label. • See that the laptop is detached from power completely. Make sure to remove the batteries as well. • Locate the screws on the screen bezel which are typically located right above the hinges. Remove the screws carefully with the help of the screwdriver and place them in the bowl. Sometimes, the screws are hidden behind the stickers, in which case carefully remove the stickers with the help of the safety pin and follow the process. • Remove the screen bezel and separate it from the back support. You can hear the unsnapping sound, however, you have to apply a slight force to detach it from the support. • Remove the screen bezel until it is completely detached from the hinges and the back support, such that the entire screen is now exposed. • You will find that the screen is secured by means of a thin metal frame on the left and the right sides which are attached with screws on both sides. Remove them, and you should be able to detach the LCD along with the trim metal frame from the back frame. • The trim frame also can be detached from the LCD screen which is secured by means of three screws on either side. • Now place the LCD on the keyboard such that the back of the LCD is facing you. See that the video cable behind the LCD screen is not affected. • Disconnect the video cable from the back of the LCD screen which will have the clasp either in the middle of the screen or at the bottom. However, the entire length of the video cable will most likely be attached to the back of the screen by means of an adhesive which needs to be removed all along until to reach the clasp. • Once the broken LCD screen comes loose, remove it and place the new one facing down just like the broken one was placed. • Replace the video cable and use the tape to secure it to the screen just like before and clasp it to the slot provided. • Repeat the steps you followed to detach the screen bezel. Replace the trim frame pieces, and then the back support and the screws to complete the display screen assembling. • Put the screen bezel back in place, secure it with snaps and replace the screws followed by the sticker. Once all the steps are followed, you will be facing the laptop with the brand new screen. Replace the batteries in the slot and plug in the adapter to enjoy your laptop full of life. For all kinds of laptop repairs in Dubai, and for more information, contact us at +971-55-5182748 or visit our website www.vrscomputers.com.